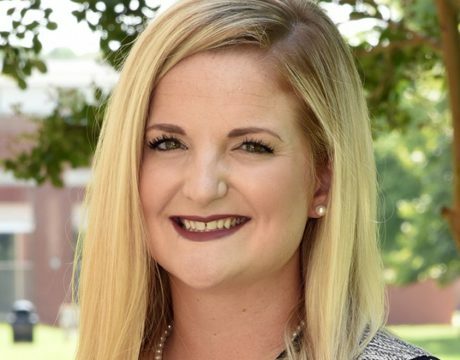 Donors who care about the success of local students broke a Giving Tuesday Record by making incredible donations to the College of Southern Maryland this year on the Tuesday after Thanksgiving. 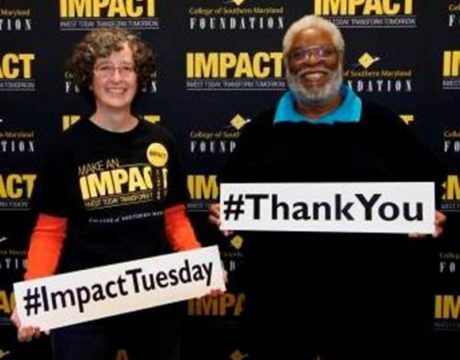 Anticipation is starting to build as the College of Southern Maryland Foundation gears up for #GivingTuesday on Nov. 27. The College of Southern Maryland Foundation is gearing up to celebrate Giving Tuesday, a day when local residents step forward with gifts large and small to help local community college students as they work toward degrees, mastery of new skills sets, or certificates. 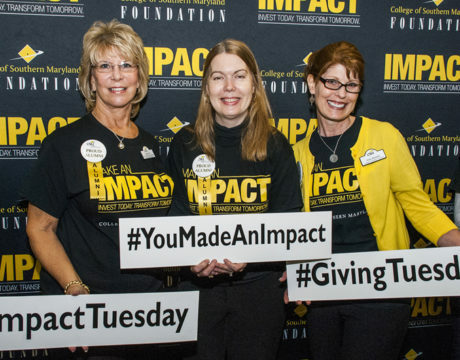 Two hundred and seventy-one donors responded to the College of Southern Maryland Foundation’s public launch of its $10 million “Make An Impact” campaign, celebrated at all three campuses on CSM’s fifth annual observation of Giving Tuesday.